This summer I will be attempting to go heat-proof as much as I possibly can. I already know I won’t be able to go the entire summer because last year I only made it through one month before I caved. I simply can’t wear my hair down without curling it. That being said, I have been very inspired lately to find and feature hairstyles that don’t require any heat. This one here being my very first one. It was inspired by a picture I recently saw on pinterest and is a great style for wearing out and about. 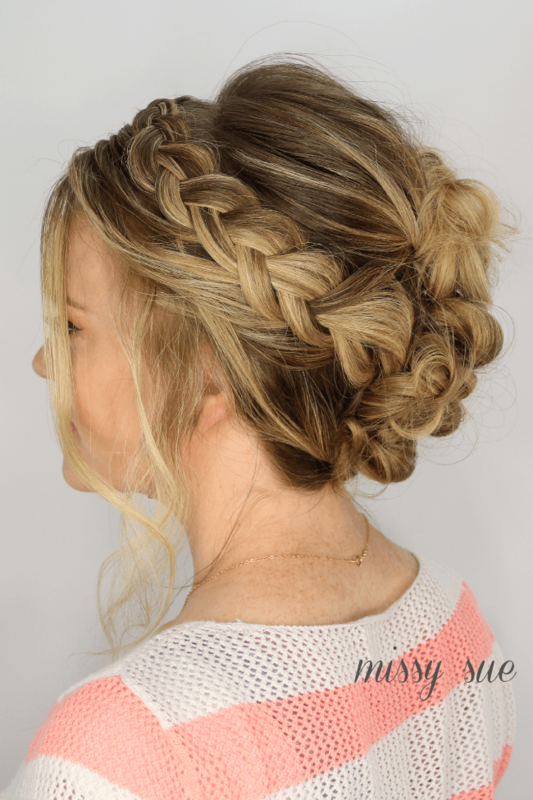 I love it because it features two braids which help keep the hair back, off the face, while the back features three knotted buns that look intricate and tricky but are actually easy to replicate. Let’s get on to the tutorial! Step 2 / Separate off a section of hair at the crown of the head, 2-3″ back from the hairline. Step 3 / Twist this section together and wrap it into a bun at the back of the crown securing it with bobby pins. 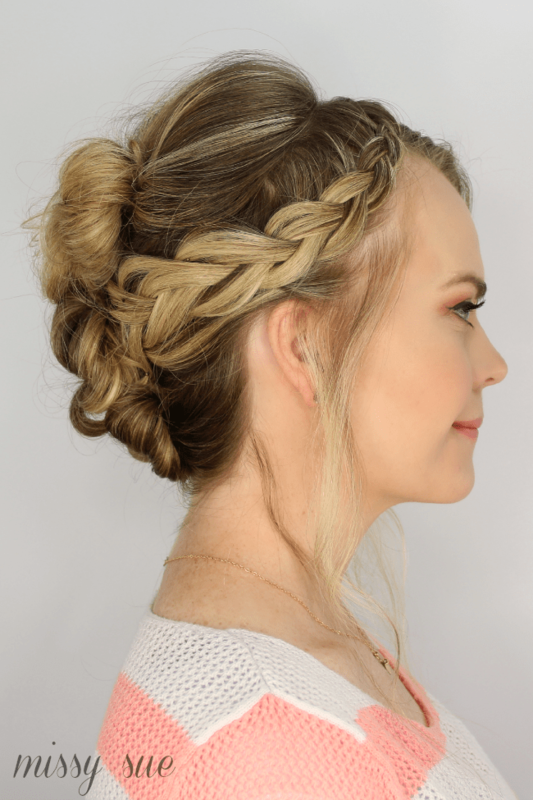 Step 4 / Pick up a small section of hair at the hairline, on the left side of the part and begin a dutch braid, braiding the section along the hair line, over the left ear and tying it off when it reaches the back of the head. Step 5 / Repeat step 4 on the right side of the head, creating a dutch braid and tying it off at the back of the head. Step 6 / Combine the ends from the two braid and remove the elastic bands before tying it into a second bun, securing it with bobby pins. Step 7 / Pick up the remaining hair, wrap it into a third bun and pin it in place with a few more bobby pins. Hey Missy :) What kind of alligator clip is this? I love it! Such a cute summer style! I have much thinner hair, but am def going to try so I can wear it on the beach in Mexico.